What does it mean to be a plate glass university? 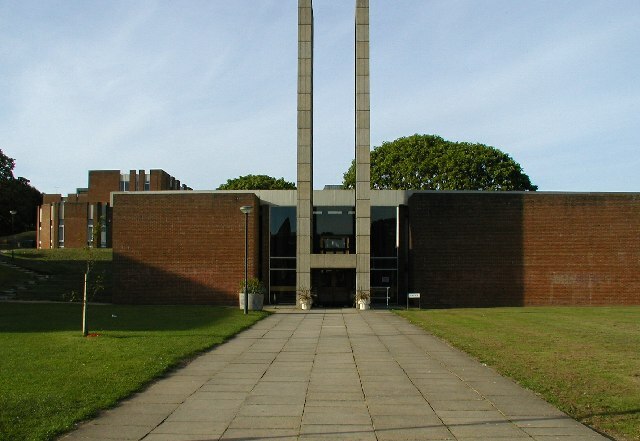 Founded in 1963, the University of York is considered to be a plate glass university. Katy Sandalls asks how these establishments came into existence and reviews their impact on higher education. The term “plate glass” was coined by barrister Michael Beloff when trying to think of a way to describe the flood of new UK universities established in the 1960s. Among those referred to by this term are the University of Warwick, the University of East Anglia, and of course York. Beloff’s definition refers to the architectural structure of these universities; concrete and steel were the main features of the buildings on campus. Anyone who has spent any time on Heslington West campus will find this term particularly appropriate when looking at our dear old spaceship, Central Hall. The plate glass universities represented more than just the buildings themselves; they were characteristic of the wider changes taking place in the British education system. In 1961, the Robbins Report was commissioned with the aim of looking into the state of higher education in Britain. It made the recommendation that more universities needed to be created in order to the increase the number of students in higher education. Following this proposal and its recommendations, the number of universities began to rise as an increasing number were awarded university status by Royal Charter. York was a perfect candidate to become a plate glass university. Attempts had been made to set up a university in the city since 1641, however those behind the plans had struggled to get their plea heard. It was 1963 when this all changed. Plate glass universities were known to be radical and experimental as they embraced the social freedoms of the 1960s. Departments tried to break boundaries and challenge existing conventions. They changed higher education by bringing in new ideas and deciding to make themselves deliberately different to the old universities such as Oxford and Cambridge, whose pomp and tradition they found limiting and dated. A great success was made of these attempts, as in turn they would force older, traditional and redbrick universities to reinvent themselves in order to remain attractive to researchers and students alike. Now more than ever, students had a wider range of higher education institutions to choose from, and with important breakthroughs being made in front of them, they were at the forefront of something special. It wasn’t just an increase in universities that the plate glass movement signified. The movement widened higher education by permitting more people to take part in these forms of education. Universities had previously been seen as exclusive and elitist; the money needed to attend traditional universities made them unavailable to all but the wealthiest in society. Plate glass universities changed this by breaking the mould and expanding higher education beyond the upper classes. They normalised the idea of going to university to a generation of students who would not have considered the move previously. Universities have continued to develop in the 50 years since the evolution of the plate glass group. York and its pioneering founders may have grown up, however, modern institutions owe their foundations to these groundbreakers. Many of us owe our time at university to the reforms of the Robbins Report and the creation of Plate Glass universities. For this reason, we should celebrate these truly inspiring bodies with our own, York, helping to lead the way. Read an original alumnus’s memories of the newly-opened University of York here: Original alum remembers 1960s York. Katy is a current student at the University of York studying History and Politics. She is a student journalist, radio presenter and lover of all things vintage and retro.